There is a lot to like about Bodog. First, the ‘recreational player model’ used. This prevents 3rd party tools by keeping play anonymous, and restricts the ability of pros to mass multi-table. The result is looser games for everyone. Look out for the busy tournament schedule, Zone Poker (a fast-fold variant) and events such as the ‘Black Diamond Open’ – which feature huge tournament prize pools. New players get a $1000 welcome bonus at Bodog.eu, this is released into your account in handy increments as you collect points from the real money games. This section takes the main features and games at Bodog, and covers them in detail. This is the only North American site to feature a fast-fold poker game. Called ‘Zone Poker’, this game sends you to a new hand as soon as you have folded. You are combined with new players from a ‘pool’, and can also fold before the action reaches you. By chopping out the wait time between hands (you’ll be surprised how long you spend waiting for others to bet), the game is sped up considerably. Zone Poker is up to 4 times as fast as regular cash games. This game can be played on the mobile poker site, as well as through the downloadable client. Stakes start at $2 (1c / 2c blinds) and go up to 50c / $1. Regular cash games remain hugely popular. The most popular tables are the 6-max games. You will play using a seat number, instead of a nickname. This means that nobody knows who you are if you step out of a game and enter a new one. This effectively stops 3rd party tools (even those that can get around the restrictions). Since pros use these to get reads / spot fish, this system does level the playing field for newer / recreational players. You can play a maximum of 4 cash game tables at once. These games are also available via the mobile client. It will come as no surprise that 6-max NL Holdem is where all the action is. You’ll find games from 2c blinds up to $10 ($1000 buy-ins), higher at the weekends on occasion. There are 9 handed games too, along with Omaha (PLO is the biggest of these). Almost all tournaments at NL Holdem at Bodog – covering the usual speed and table size variations. These are played anonymously. You get an entry number at the start of each game, which stays with you for that tournament only. You can play more than 4 tournaments at a time. In total, there are $2 million in guarantees each week. Looking at the schedule you’ll see most games are firmly in the lower buy-in category, more than 95% of them $22 and under. Sundays sees the $100k guaranteed. This is the single biggest regular tournament. If you can’t afford the $162 buy-in, then there are plenty of qualifier games which run through the week. These are always soft, though on Sundays just before the big event starts, they go crazy – a great opportunity for anyone with some skills in poker satellite play. A couple of times a year, Bodog (and Ignition) run the ‘Black Diamond Open’. This is an online tournament event festival with many big guarantees. The biggest of these is around $350,000 guaranteed. Again, plenty of satellite qualifiers are running. Finally, for the tournament section, you can win seats in live events. Some of these are out in the Caribbean, while others include ‘Vegas Weekends’ which just happen to coincide with the World Series of Poker. You can see the qualifier games listed in the tournament lobby. Check out www.bodog.eu for the latest games. I will cover Sit N Go Tournaments separately, in my unique Bodog SNG Review (will link to this as soon as it is ready). You can play on a download client, or reach cash games and Zone poker via a non-download mobile version. When you read that the main feature of the software is that it ‘allows you to focus on the game-play’, this might not sound promising. Fortunately, the software is not all that bad – it is simply a little dated in the overall look and feel. The distinctive red and black coloring can be seen, and a segment of the table will light up for each player when it is there turn to act. Navigation is easy, using a panel with filters – and the game-play is smooth and easy. If you are using the mobile client, I recommend Zone Poker, this works fast, avoiding the need to play multiple tables. Bitcoin is the deposit method of choice for this site – though it is not the only one. If you enjoy online poker then taking 10 minutes to set up a Bitcoin wallet is well worth your time. Once you have one, you will be able to deposit and withdraw quickly – and you’ll never see gambling transactions on any bank or credit card statement. 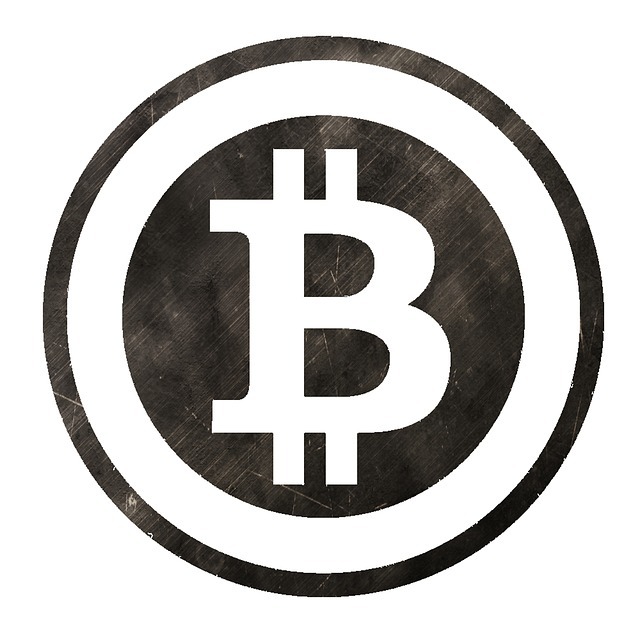 For more on how BTC deposits work, check out my detailed Bitcoin Poker Sites article here. You can also deposit using credit cards, or money transfer services. If your credit card gets declined by your bank, I recommend speaking to the Bodog support team about the options. This site has a reputation for excellent service (and for fast payouts!). I like the welcome bonus at Bodog. This is paid in increments, up to a maximum of $1000. Incremental payments mean that you still get a chunk of bonus money, even if you do not have the time (or the patience) to collect the full quota of points. 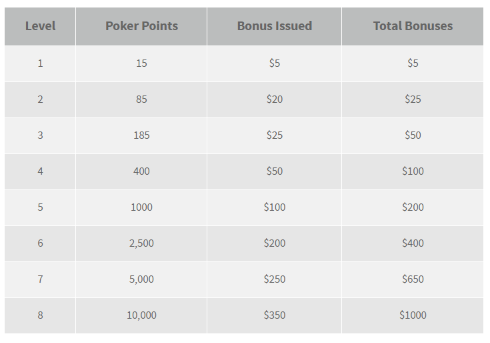 The table below shows the incremental payouts – you get the first installment of $5 after collecting just 15 points. You’ll have 30 days to collect as many as you can. Those same points can be exchanged for tournament entries and cash bonuses – and make up the backbone of the loyalty program. There is a royal flush and a bad beat bonus too. Other promos tend to be one-off, including live event qualifiers. If freerolls are your thing, you’ll find plenty of crowded free-to-enter tournaments. Bodog have a sportsbook and casino – in addition to the poker room, you’ll be offered promos at both of these. There is a lot to like about Bodog, which has risen to become one of the biggest poker sites online after their expansion south and tie-in with Ignition. I look forward to the day when this site is able to offer games in the UK and Europe again! Anonymous games and multi-tabling restrictions were condemned when they were first introduced. When you see what a difference restricting the multi-tablers makes for everyone, in terms of the softness of the games, you will realize how smart a move this was. Add to this a solid fast-fold poker game, generous bonus with easy incremental targets, and some big events / promos – and you have a winning combination. If you live in Canada or Latin America, check out www.bodog.eu for yourself now!